Home NewsCongratulations to New Zealand's top butchery apprentice! 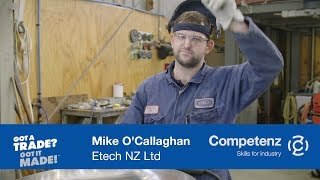 Congratulations to New Zealand's top butchery apprentice! Congratulations to Competenz butchery apprentice Hohepa Smith from Countdown Meat and Livestock who yesterday took out first place in the Competenz Butcher Apprentice of the Year competition. The competition is part of Retail Meat New Zealand’s annual event for New Zealand’s aspiring young butchers. The final saw entrants compete in an intense cutting test where they had two hours to turn a beef rump, a pork loin, a size 20 chicken, and a mystery cut (a lamb forequarter) into a display of value-added cuts. Entrants also took part in an interview and sat a written exam to test their communication skills and knowledge of the trade. Other winners on the night included Alana Empson from New World Hillcrest who won Alto Young Butcher of the year. New Zealand’s national butchery team, the Pure South Sharp Blacks, took out the Tri-Nations Butchers’ challenge against strong competition from Australia and Great Britain. This is the team’s third consecutive win. The annual competition is supported by Competenz, Alto Packaging, Alliance Group, Beef + Lamb New Zealand, Cabernet Foods, Dunninghams, Hellers, Kerry Ingredients, New Zealand Pork, Wilson Hellaby and Tegel.